TimeZone's Watch Of The Year 2011 Competition - Your Votes Please! TimeZone's Watch Of The Year 2011 Competition – Your Votes Please! TimeZone’s 2011 Watch of the Year competition has started and there are six candidates you can choose from when voting. Go to the TimeZone website and leave your vote for your favorite watch manufacturer. Make sure you are a registered user of TimeZone and read the voting policy before doing so. 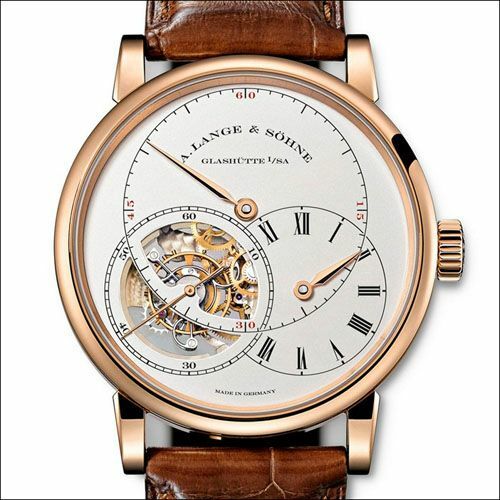 A. Lange & Sohne’s Richard Lange Tourbillon Pour le Mérite. Limited to 100 pieces only in platinum (model shown here in 18 carat red gold) and the fourth piece from this Glashuette manufacture with the Pour le Mérite distinction. The tourbillon with a patented stop-seconds mechanism and the fusée-and-chain transmission have been developed and implemented in this Richard Lange timepiece to improve rate stability and the accuracy of the movement. We’ve done a few A. Lange & Sohne articles at Fratellowatches in the past year, the most viewed one being Ming Thein’s Datograph Diary. Baume & Mercier’s Hampton Automatic Chronograph. We’ve a lot of respect for the brand that was able to re-do their entire image and branding in such a short time. 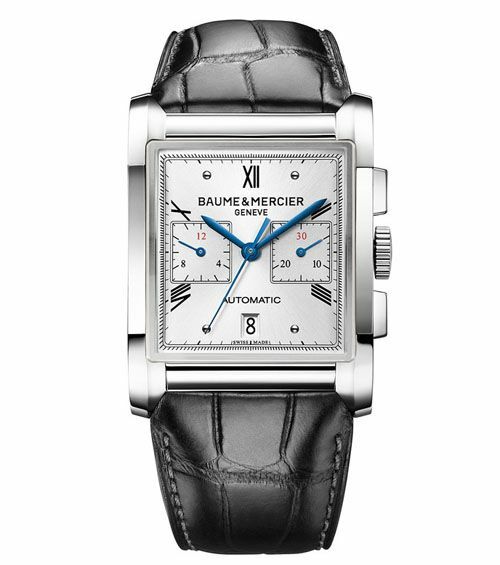 Completely in the style of the Hampton’s, where the rich and famous hang out in the weekends, Baume & Mercier is a brand again that is back on the horological map. Not only by collectors, but also by the people that only buy one good watch in their entire life. To celebrate a special occasion like graduation, promotion, marriage or just because they make beautiful chronographs. This Hampton Automatic Chronograph with its rectangular case (measuring 34 x 47 mm) is in our opinion competing in this 2011 Watch of the Year with the other rectangular watch, the Jaeger-LeCoultre Rerverso. A manufacture hand wound caliber with a power reserve of 65 hours keep this watch alive. Gronefeld’s One Hertz. We’ve written a lot about this Dutch brand here, and about the One Hertz in particular (click here). 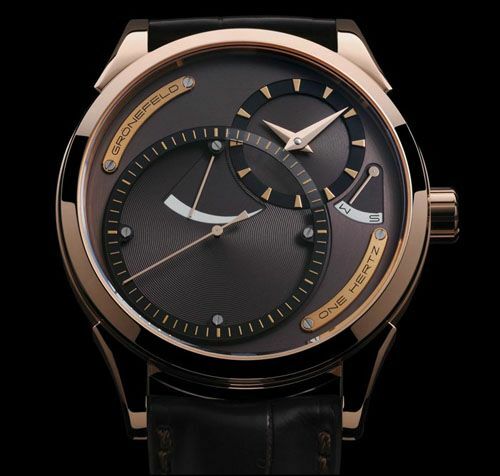 The complication of this beautiful watch is the independent dead seconds hand (secondes mortes). Gronefeld’s in-house developed movement is wonderfully crafted and uses a terrific easy to operate time-setting and winding system. Just by pushing the crown you’ll operate the watch, the small indicator in the dial demonstrates whether it is in winding or setting mode. The One Hertz is unique in the sense that the dead seconds are being powered by a secondary gear train that is completely independent from the hour and minute indications gear train. Available in gold and stainless steel. 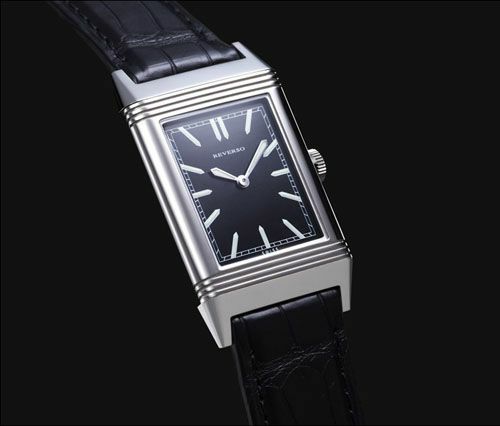 Jaeger-LeCoultre’s Grande Reverso Ultra Thin “Tribute to 1931”. 2011 was the 80th anniversary of the Reverso and JLC celebrated that with this Tribute to 1931. The ultra-thin rectangular timepiece has become the SIHH 2011 favorite of many collectors and watch aficionados out there. Understandable, since this watch is such an icon of time. Everybody knows the Reverso, even when there is not much interest in watches at all. We’ve covered Jaeger-LeCoultre quite a lot last year and have shown our love for this classic brand over and over again, based on the positive reactions on these articles and the views it generated, we think this watch could be the winner of the competition. This manual wind (caliber 822) time piece is available in gold and stainless steel. 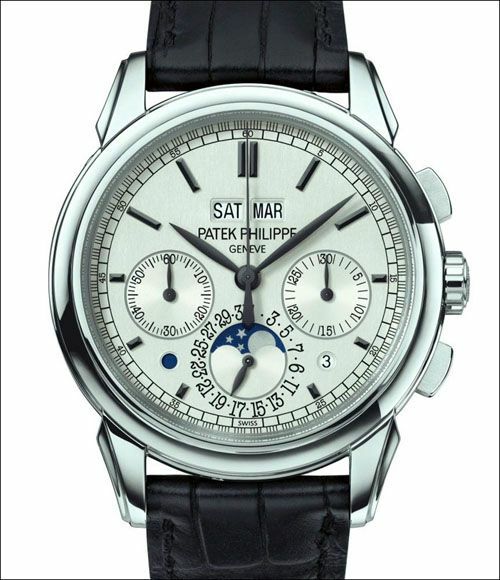 Patek Philippe’s Perpetual Calendar Chronograph Reference 5270. This particular chronograph has been in our Top 5 of Basel 2011 time pieces (click here). From the moment we saw it during our appointment with Patek Philippe in BaselWorld, we were impressed with it. This entirely in-house designed and crafted chronograph caliber does not only feature a chronograph, it is also a – as the name implied already – a perpetual calendar showing the day and month in two apertures at 12 o’clock. At 6 o’clock, the dial shows the date and moon phase. Of course, this PP has the PP Seal engraved in the movement and consists of over 450 parts in total (182 only for the perpetual calendar). With its diameter of 41mm, it is very wearable. Vacheron Constantin’s Patrimony Traditionnelle World Time. We’ve done an article in the past about our top 3 of World Timers, and this Vacheron Constantin wasn’t in there. This was of course, before this timepiece had been introduced in 2011. 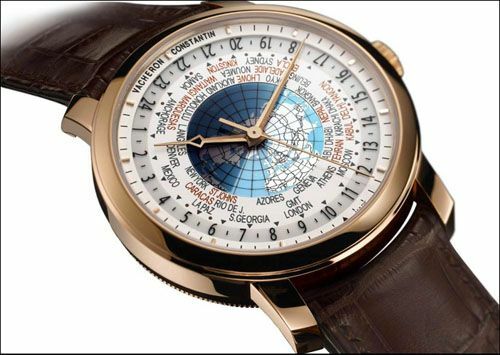 This World Time watch enables simultaneous reading of all 37 world time zones, using three different dials. 1. A sapphire dial with inked and engraved 24-hour indications and central graded day/night indication; 2. A metal dial with map and transferred city names; 3. A metal minute-circle ring and gold applied indexes. By picking a reference location and turning it toward a black triangle at 6 o’clock, the requested time zone can be read by the hour hand or by the 24-hour indicator while the other 36 time zones can be read simultaneously, as well. All settings are created by using the crown. Vacheron Constatin filed a patent for this caliber 2460WT movement. Here at Fratellowatches we’ve shown a lot of love for some of the brands in this list during the last year. Since we’ve gotten our hands on the Gronefeld One Hertz (Ming Thein did an excellent review, click here), handled it during introduction in BaselWorld 2011 and fiddled around with it during our photo shoot for AskMen at the Gronefeld manufacture in The Netherlands (click here), we are very enthusiastic about this watch and Gronefeld in general. We are pretty sure that we can see a lot more interesting horological stuff coming up from the Dutch bros. 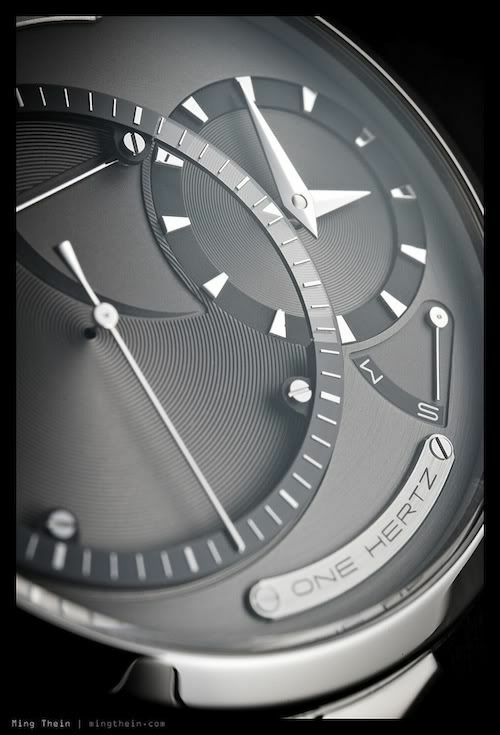 The One Hertz is a timepiece that should and would make a perfect ‘TimeZone Watch of the Year 2011’ watch. Whatever watch you’ll pick as a winner, make sure to do this before noon (GMT) on the 27th of February 2012. Vote by only stating the name of the company, not the watch model. Click here to enter the voting of 2011 TimeZone’s Watch of the Year!